It’s one thing to cruise the highway in a nice car, but it’s another thing altogether to cruise the highway in a drop-top convertible. Finding that just right speedster is every driver’s dream, especially if you enjoy feeling the wind in your hair. There really is no way to describe how fun and freeing it feels to get up to top speeds on the open road. Revving your engine as that big straight stretch of road comes up is an adrenaline rush that can’t be matched. There are a lot of different high-performance vehicles out there, how do you know which one is right for you? 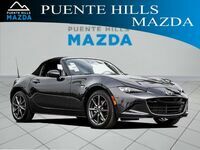 An easy way to do that is to compare two cars like, let’s say, the 2019 Mazda MX-5 Miata and the 2019 Toyota 86 and see who comes out on top. There are a few more, or maybe a lot more, options available on the MX-5 Miata that we just can’t get to. 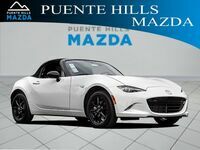 If you want to get inside the 2019 Mazda MX-5 Miata then stop on down to our dealership and schedule a test drive. If you have any questions then feel free to give us a call and we’d be happy to help.